Posted on February 14, 2019 by Navid Dayzad, Esq. We value the relationships we have built with our many clients over the years, and we are thrilled when they show us some love too! Whether it is a long-term relationship or a new connection, we strive to do our best work for all of our clients. We wish everyone a happy Valentine’s Day and hope you feel the love as we do! 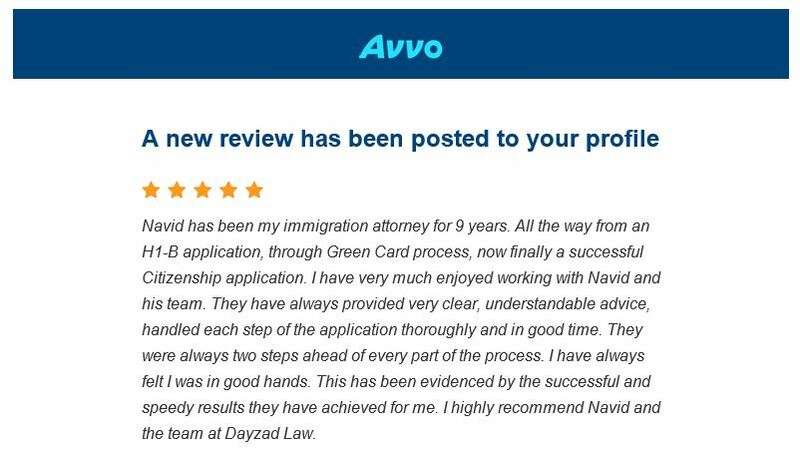 Posted on February 8, 2019 by Navid Dayzad, Esq. Good news! USCIS resumed its premium processing service on Monday, January 28, for all H-1B petitions filed on April 1, 2018. Applicants with pending H-1B cap petitions can now upgrade their requests to ensure the application is processed within 15 calendar days. We will upgrade these pending H-1B petitions for those clients who previously requested premium processing. The resumption of the premium process service is only available for pending fiscal year 2019 H-1B cap petitions, not new submissions. Unfortunately, the previously announced temporary suspension of premium processing remains in effect for all other categories of H-1B petitions. This includes H-1B change of employer and amended petitions. USCIS indicates that it will resume premium processing for the remaining categories of H‑1B petitions as agency workloads permit. We will continue to monitor the availability of premium processing, and we will notify our clients of any updates. Posted on January 24, 2019 by Navid Dayzad, Esq. The Department of State has released its Visa Bulletin for February 2019. The Visa Bulletin determines when an applicant is able to file an adjustment of status application based on the priority date of an approved immigrant visa petition. The employment-based first preference category, or EB-1, includes individuals of extraordinary ability and multinational managers or executives. One notable change in the employment-based chart this month includes the EB-1 preference category moving backwards –which results in longer wait times. The government will not accept green card applications from EB-1 applicants unless their priority date is before December 2017 for many applicants and before February 2017 for applicants from China or India. Although this is a setback for many EB-1 applicants hoping to apply for green cards, we have seen that the priority dates can progress up to two months per visa bulletin issuance. Therefore, we are hoping for better news in March. The EB-3 India preference category also moved slightly past the EB-2 preference category this month. Both preference categories maintain priority dates in 2009, which still means a long wait time for Indian nationals in those preference categories. However, we will continue to monitor the progress of both categories to make sure we are filing petitions for clients in the fastest-moving categories when possible. 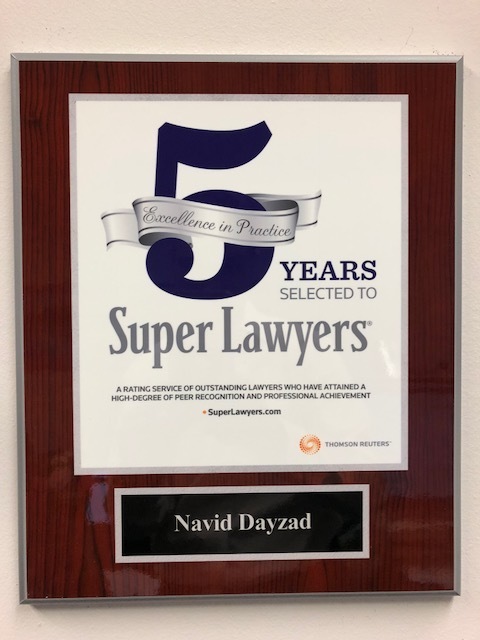 Posted on January 17, 2019 by Navid Dayzad, Esq. We have now entered into the longest government shutdown in U.S. history with no end in sight. We have written previously about the shutdown’s impact on immigration. As previously stated, USCIS and visa operations continue to operate because they are fee-funded. This means that as of now, the shutdown should not directly affect most immigration applications. The Customs and Border Protection website continues to go without active management. This means your travel history and I-94 record on this website may not be up to date. E-Verify and related services are generally suspended. Employers cannot access their E-Verify accounts to engage in activities such as enrollment, viewing or taking action on any case, editing company information, and running reports. For more information on these services and policies implemented to minimize impact, please visit the E-Verify website. The EB-5 Immigrant Investor Regional Center Program expired on December 21, 2018. All regional center applications and individual petitions are affected. Unadjudicated regional center-affiliated Forms I-526, Immigrant Petition by Alien Entrepreneur, and Forms I-485, Applications to Adjust Status, will be on hold for an undetermined length of time. We will continue to monitor the government shutdown and its effects on our clients.